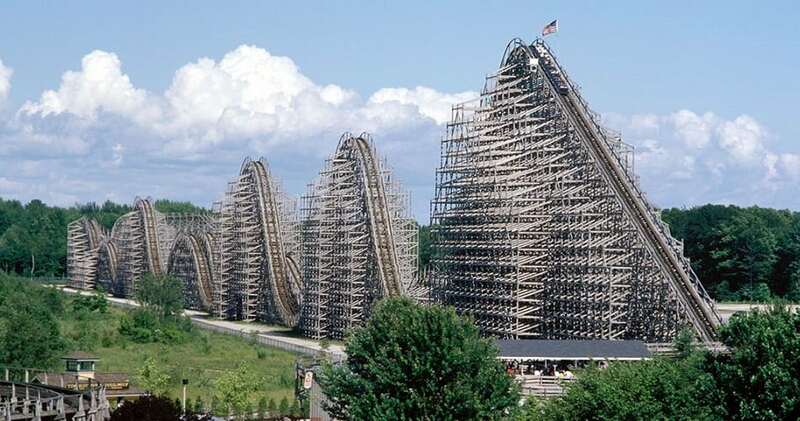 With a half mile out, and then a half mile back, Shivering Timbers is the longest, fastest wooden roller coaster in Michigan. Its huge wooden track is filled with breathless drops, stomach-churning lifts, and hair-raising turns. It reaches a speed of 65 mph, a height of 125 feet and a 122-foot first drop at a 55-degree angle. Truly one of the best night ride experiences in the world.